It is the stuff we all need to understand. Vicki Adams will lead the serious part of the evening but there will also be a bit of fun, canapés and light refreshments. 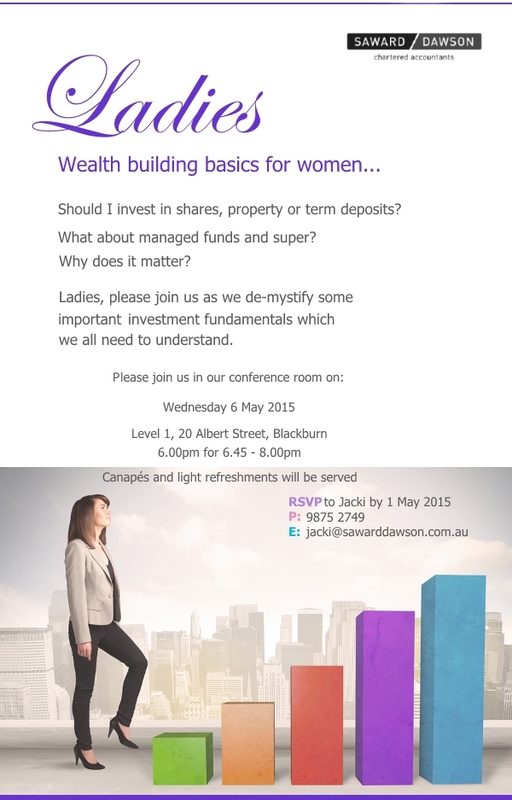 See the invitation below and please just click here to email Jacki your details. Ladies, we look forward to seeing you on the night and guys you might like to pass this invitation to a lady you think may be interested.